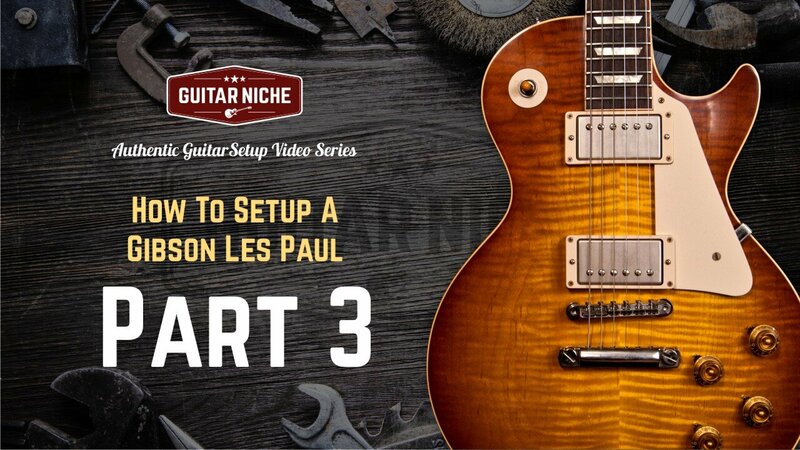 Part 3: How To Setup A Gibson Les Paul. In Part 2 of How To Setup A Les Paul, we covered the teardown process. In this next section we cover the basics of getting the guitar in condition to be built back up. 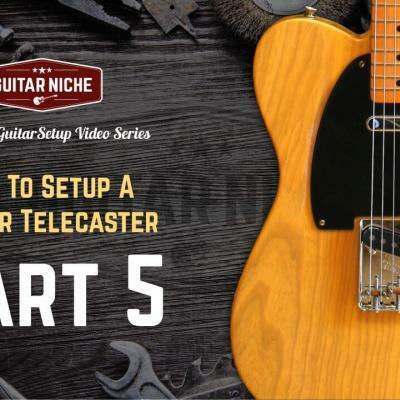 This pickup is remounted. Let's double check it. There we go. It's snug. You can feel the screw heights there so that they're recessed all the same. So I reloaded some new screws there. The other ones were chewed from somebody not using the right size screwdriver. That's how that stuff happens, it's important to choose the right size screwdriver. The next course of action here is to take a...sorry, I forgot to mention a couple of things in the intro there. A 10mm open-end wrench here for the inserts, see these threaded inserts. I'm just going to go around the headstock and snug, make sure that they're snugged up. These are pretty...somebody got at these and really torqued them up. Oh man, I'm not happy with that. This is a judgment call on my part because what happens is people get overindulgent, let's say, and over torque these things. Then you will start to see the lacquer start to split and chip out around the washers there because it has been over torqued. You've got to remember, this wood, over the seasonal changes, is doing this, okay? That is the headstock, right? It's expanding and contracting. It's a very, very, very small amount, but it's enough to cause a problem if these are too tight. I just snugged them up nice, just snug, okay? Not cranked. There's no screws in the end buttons, obviously. 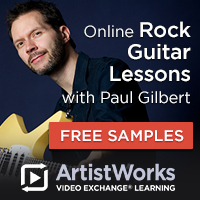 These Gibson tuning keys are in good shape and all that. I will give it a quick flip here onto the next phase. Gonna go around and make sure all the screws are snugged up, a couple of...let's see, out of 12, there were only 2 so far that were actually in good condition. 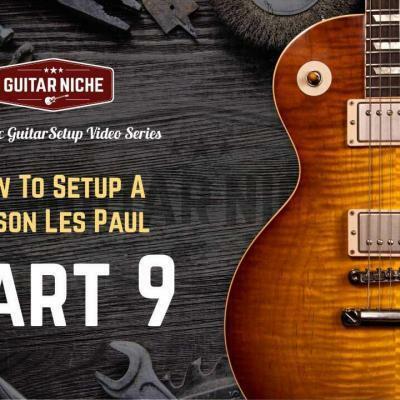 Now we're going to take off our Les Paul back plate. In other words, at the headstock there. At the headstock, most of those screws needed a little tightening up. I left those there. I didn't put them in the tray. I don't want to fish them out afterwards because I'll only be at this for a minute. Let's see under the hood. I know the switch is in great shape. Now if you can get a look see at that. Okay, I'll turn that over like so, and you should be able to see there's some shielding paint in there. The electronics have not been messed with. Everything looks like it's original, so that's a good deal. Now what I'm going to do is I have some cleaner here. It's electronics cleaner you can get at electronics supply places. If you don't have this kind of stuff, you can just take those controls and just them zip back and forth really, really fast, like this kind of thing and that will clear out some of the junk too and extend the life a fair bit. I know the treble pot is a little sketchy. This is corrosive. This is going to damage this finish, so I'm going to be very, very, very careful about not getting it anywhere near or around the finish, okay? So, put a paper towel here and make sure we don't have anything dripping. I'm just going to hit that just like that. Didn't get anything anywhere. I'm gonna wind that out. Just a very, very small amount because I don't want that seeping out through the bottom and destroying the finish or anything like that. So I'm rotating that back and forth. That should be just dandy, okay? We'll let that evaporate for a few seconds. All right, we're going to button that back up. By the way, while I'm in there, no interference at the jack. That's great. Sometimes the cable can get wrapped up inside there cause some problems. We'll get this back down. And that's good to go, everything nice and snug, hand tight. All right. 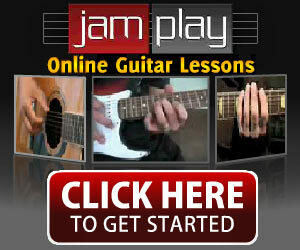 Own a fine Fender product? 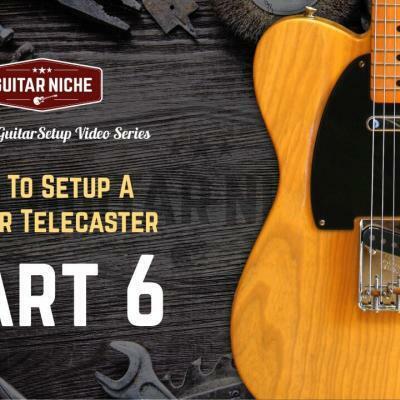 Check out a similar article by Guitar Niche: How To Setup A Fender Telecaster. Now, the next part is dealing with some housekeeping. I did raise the pickups and the reason I did that is I want to be able to clean around these edges where junk gets down inside there and what not. I'm going to be a little limited up here, okay? This is not a complete teardown. I'm not taking knobs off and getting under everything and what not. That's a really down and intense sort of thing, and that's not really what we're about. We're just trying to do a good housekeeping setup on this instrument. I'm going to take a short break, and I'll be back in a second. 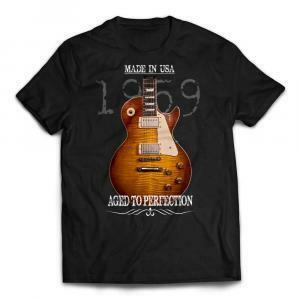 Great Guitars and Great Guitar Tees!